Looks like H&M has some catching up to do. The Swedish apparel retailer fell one place short of No. 1 on Textile Exchange’s annual ranking of the world’s top organic-cotton users. Supplanting its place? C&A, a Dutch-owned chain of clothing stores that outflanked H&M until 2010, when the latter firm roosted in first place for the next two years. Puma held steady at No. 3, while Inditex, Zara’s parent company, toppled four rungs to eighth. C&A was also the leading organic-cotton user in terms of growth—78 percent over the previous year. “We applaud C&A’s continued investment not only in the product but also at the farmgate in the support of farmer training and education,” reads the report. The retailer was closely followed by Nudie Jeans at 69 percent. 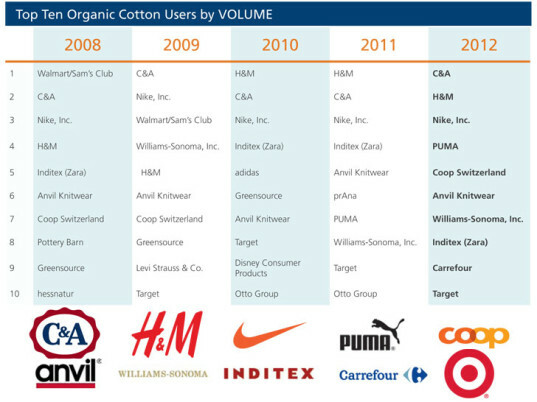 C&A, Nudie Jeans, and Puma are prioritizing organic cotton on their preferred fibers lists. The report also reveals that the aforementioned companies are prioritizing organic cotton on their preferred fibers lists. In fact, 71 percent of the brands and retailers Textile Exchange polled say they plan to increase their sourcing of organic cotton and other sustainable fibers in 2013. In addition, many of the firms on the nonprofit’s top 10 lists have made commitments to source 100 percent of their raw materials from “more sustainable sources” by 2020. 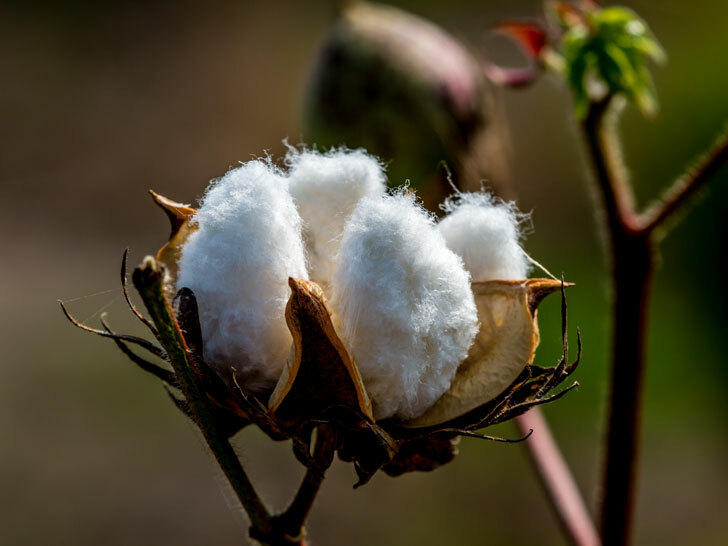 Another milestone worth celebrating: For the first time, Top 10 users had to consume more than 2 million pounds of organic cotton to make the list, according to Textile Exchange.